Precocious electronic songwriter Charles Ingalls, a.k.a. 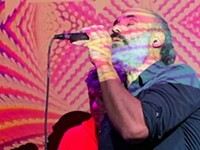 CharlestheFirst, creates lavish psychedelic soundscapes. 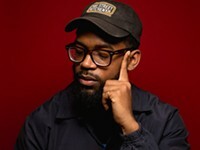 Inspired by the natural rhythms of the universe, he's taken his ethereal hip-hop from his hometown in the Sierra Nevada Mountains to a national audience. 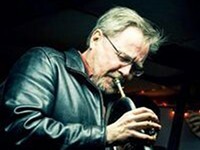 Trumpeter extraordinaire Mike Kaupa has been a leading performer on the Rochester jazz scene for over two decades. A first-call player, Kaupa has lent his gorgeous tone to Ray Charles, Joe Locke, Mel Tormé, Steve Gadd, Gary Bartz and many others. 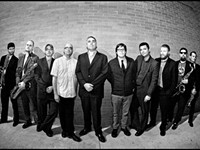 Founded in 1990,The Pietasters personify the ska movement of the 80's, which raged in its hometown of Washington, D.C. It was old-time Two-Tone mixed with punk and it wasn't a big deal. The band got together to play house parties, not to become professional musicians. Hypnotic Clambake provides sophisticated entertainment and humorous lyrics, shapeshifting through genres and harmonies with technical fluidity. The multi-genre collective from Rochester consists of frontman and accordion player Maury Rosenberg, bassist Chris Reynolds, drummer Mark Phillips, guitarist JoAnn Phillips, and horn player Tim Hull. Rochester quartet Vacation Daze brings a new, energetic blend of party pop, psychedelia, and soul to the stage. Consisting of bassist Jim DeWitt, vocalist-keyboardist Ian Egling, drummer Billy Martin, and guitarist Sage Xavier, the band is currently celebrating the release of its first full-length studio album, "Upswing!" 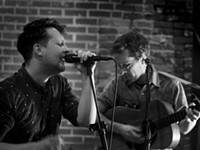 Buffalo-based trio Marquee Grand embodies an angsty, youthful spirit by mixing elements of rock, pop, punk, and blues. 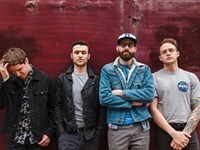 Formed in 2015, the band is made up of singer-songwriter John Richter, guitarist Josh Owczarzak, and drummer Matt Lawniczak. 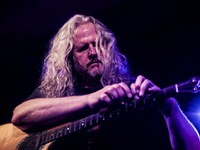 Put a guitar in the hands of Preston Reed and get ready to be amazed. No traditional chords, strums or finger picking here — just an astounding sonic display of melody, harmony, and percussion that is as exciting to watch as it is to hear. From Fillmore, New York in Allegany County, Tough Old Bird is a folk project painting impressionistic tones of pastoral scenes. The duo — brothers Matthew and Nathan Corrigan — is robustly reflective in its songwriting, however gentle it is in its performances. With steadfast willpower, Ithaca-based Black Castle honors Jamaican, Euro-electronic, and Eastern, spiritual soundscapes just the same. This refreshing alchemy results in what is contemporary reggae's equivalent to modern jazz. 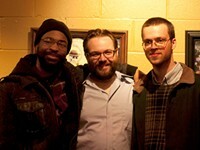 A workshop of uninhibited self-expression through music, Homeless Jazz Trio is a project revolving around friendship. It's formed by members of Claude Bennington's Fever Dream- drummer Gary Lamaar, bassist Ryder Eaton, and pianist Phil Lewalle; sometimes adding cameos from talented musicians like trumpeter Brandon Choi. Ever since "Buena Vista Social Club" thrilled moviegoers two decades ago, Afro-Cuban music has enjoyed a world-wide revival. 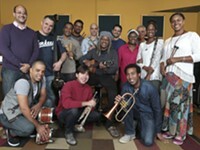 Rochester is about to get a potent shot of musical adrenaline when the Afro-Cuban All-Stars take the stage at Kodak Hall on Saturday. 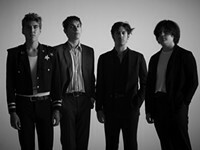 Lifelong friends and musicians, vocalist Christo Bowman and bassist Gavin Bennett formed Bad Suns in 2012. 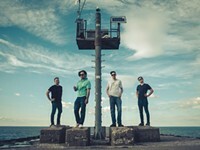 After adding drummer Miles Morris and guitarist Ray Libby through the Los Angeles music scene, the band submitted to a local radio station and quickly found itself touring with The 1975. Homegrown, hard-hitting hip-hop artist KZA K'Lee comes equipped with biting knowledge, reigning supreme over rugged, hyperactive beats. 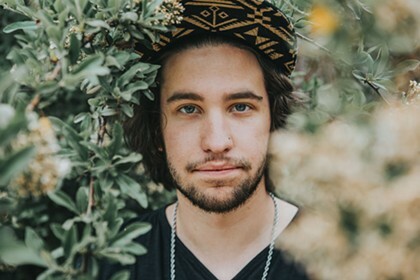 His gritty and ruthless style has been gestating through multiple releases — including his latest LP, "Straitdrop Magazine" — collaborations, and visually fresh music videos. 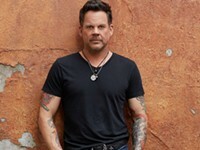 Gary Allan's last record, 2013's "Set You Free," debuted at number one on two Billboard charts. The California-born honky tonker struck a gold certification with his first release "Used Heart for Sale" in 1996, and simply owned the aughts with four other gold and platinum records. 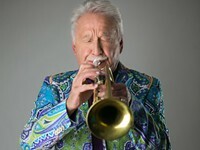 At 91, Doc Severinsen remains one of the top trumpet players on the planet. His long-term, Grammy-award-winning collaboration with Rochester's own Jeff Tyzik enters a new phase with the premiere concert of the Sonic Era Jazz Orchestra. This week the Rochester Philharmonic Orchestra offers a great, well-known piano concerto and a great, lesser-known symphony: not a bad deal. You may remember the 1996 movie about pianist David Helfgott,"Shine," in which he battles through Rachmaninoff's Third Concerto — one of the virtuosic bruisers of the repertoire. Wed., April 24, 5-9 p.m.
Wed., April 24, 12:10-12:50 p.m.